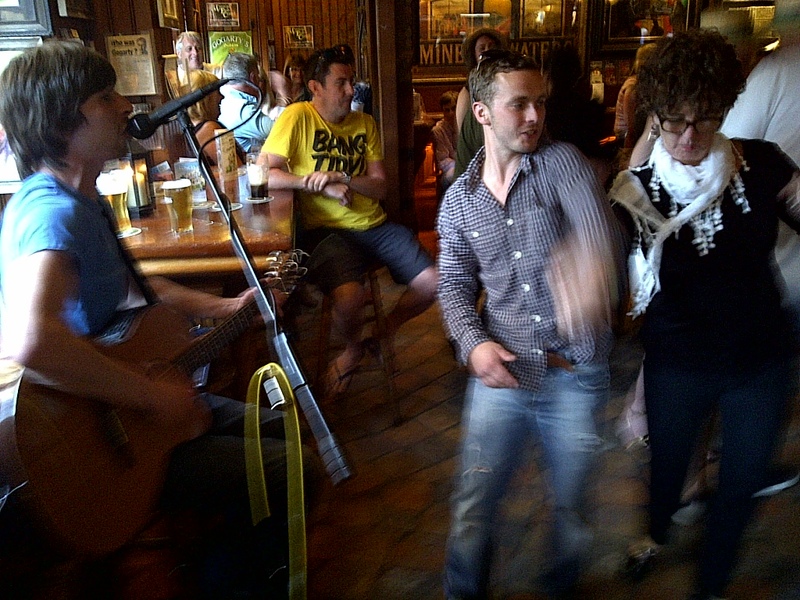 Kay and her dance partner showing how it’s done to Irish music, at the world famous pub, Oliver St. John Gogarty’s in Temple Bar Street. Dublin, Ireland. June 9, 2013. On the IRELAND tour.